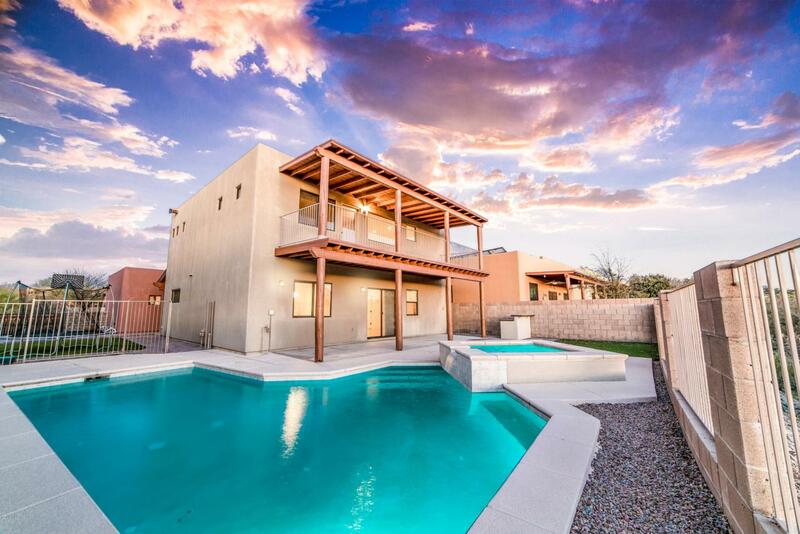 Located in Popular Barrio Rincon, oversized lot that borders common area w/ view fencing for views of the natural desert & wildlife. 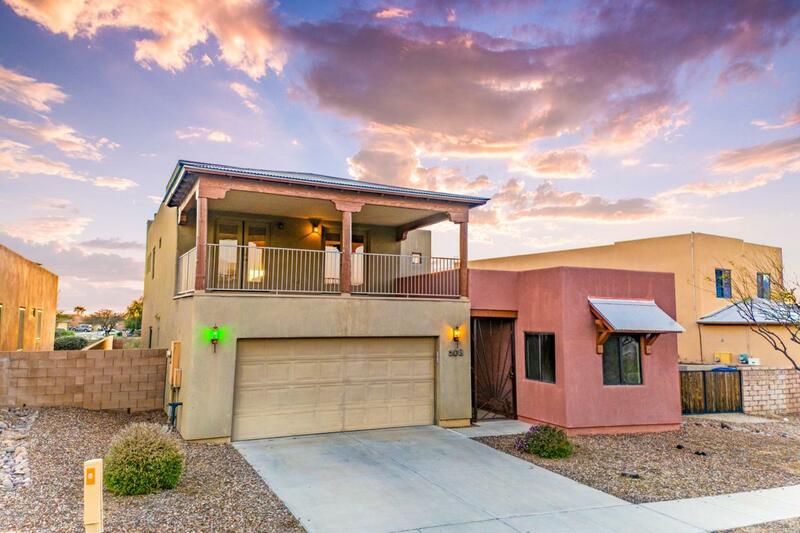 2511 sf home w/ 4 bedrm/3 bath mn house & 1 bedroom/1 bathroom guest casita for a total of 5 bedrooms & 4 baths. Perfect MULTI-GENERATIONAL floor plan. 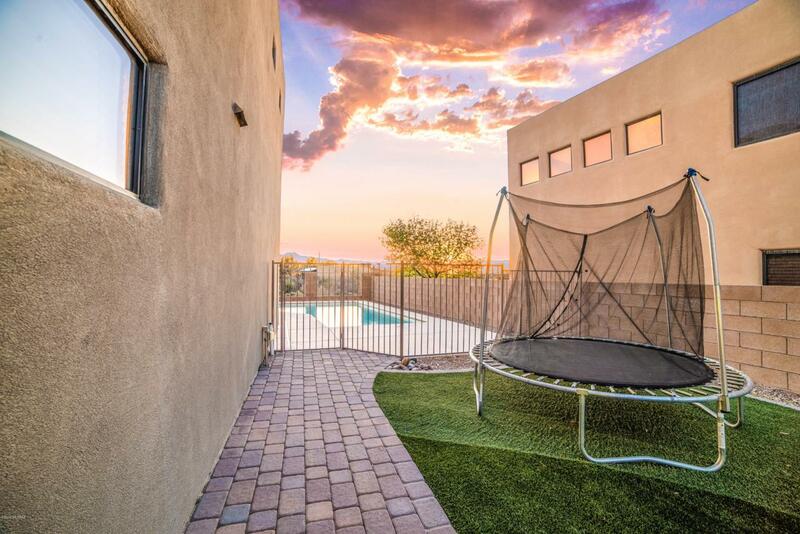 Enter thru walled & gated courtyard w/ pavers & large side yard w/ turf. First floor of main house has formal dining rm, laundry rm w/ storage, open kitchen/great rm w/ high ceilings & FP& 1 bedrm & 1 full bathrm. Kitchen is upgraded w/ granite, oversized cherry cabinets & SS appliances. 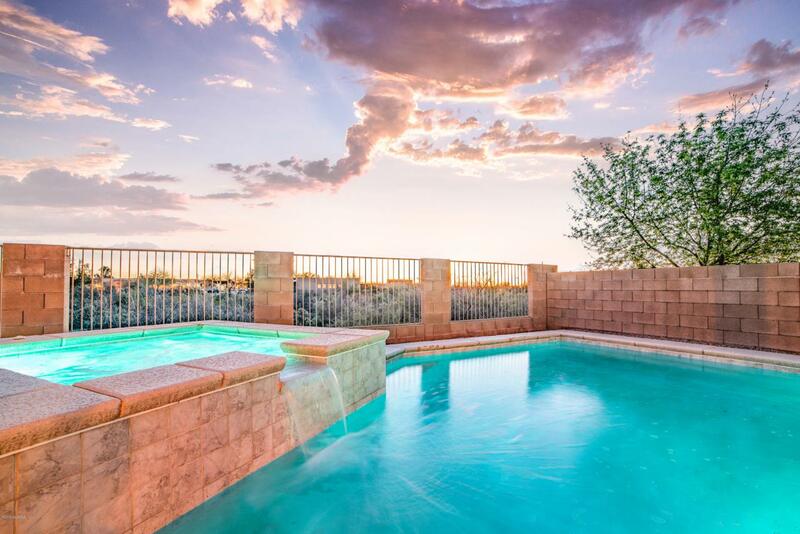 Deep covered patio & backyard w/ pool, spa, turf & views of the natural desert. Upstairs, large master suite w/ balcony & 2 additional bedrms & 1 additional bath. All 3 HVAC replaced recentlyBonus landing area could be office, kids playroom or whatever you need. Located just off of Broadway and Houghton- walk to restaurants, shopping, Galaxy theatre, Starbucks. Close to both La Mariposa and 49er Country Club. Oversized 2-car garage.